A special Christmas post today! 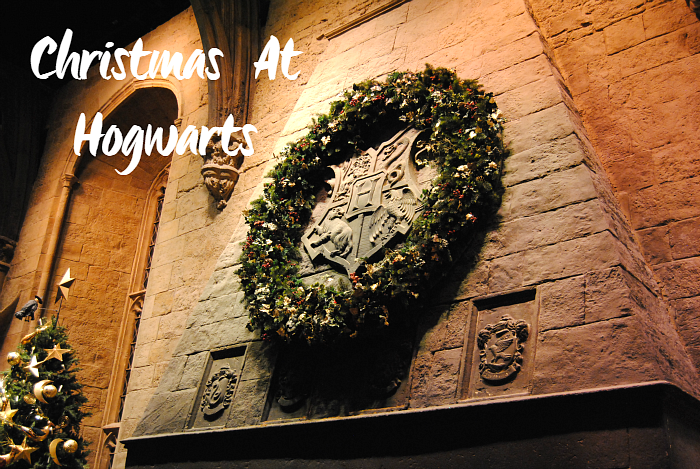 A few weeks ago my friends and I took a trip to the Harry Potter Studio Tour and I wanted to share it with you. 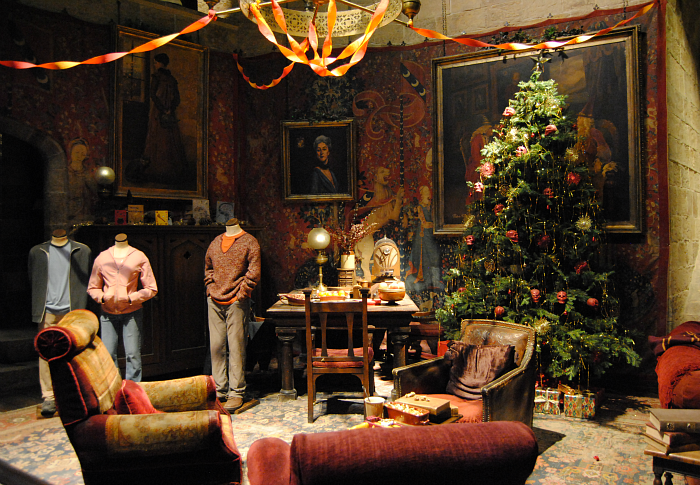 We planned our visit so that we'd be there when all the Christmas decorations were up and it was, of course, absolutely magical. 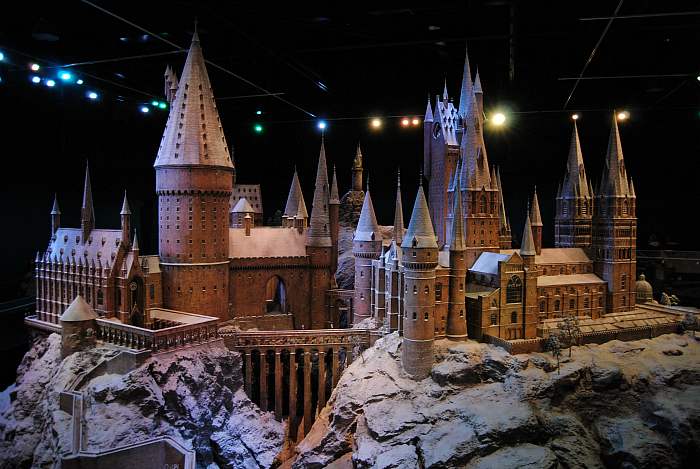 If you haven't been before, the tour is at Leavesden Studios near London where they filmed all the Harry Potter films. There are hundreds of sets, costumes and props all saved from the films which are so wonderful to see in person. 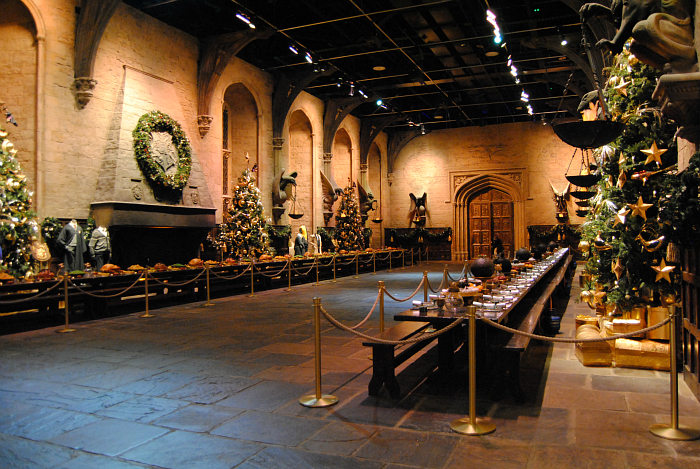 The Great Hall of course looks incredible all decorated for Christmas, complete with flaming Christmas puddings. The other stand out parts for me are Diagon Alley, Umbridge's office and The Burrow. I just couldn't do them justice in photographs! I really love all the artwork made for the films too, like the Quidditch World Cup posters, Hogwarts school book covers and Ministry of Magic propaganda, which really makes Harry's world feel complete. My number one tip if you're going on a visit to the studio tour is to bring your own packed lunch, as there are zero vegan options and very few vegetarian ones. If you plan ahead there's a cafe and an outside area halfway through the tour where you can eat your own food. 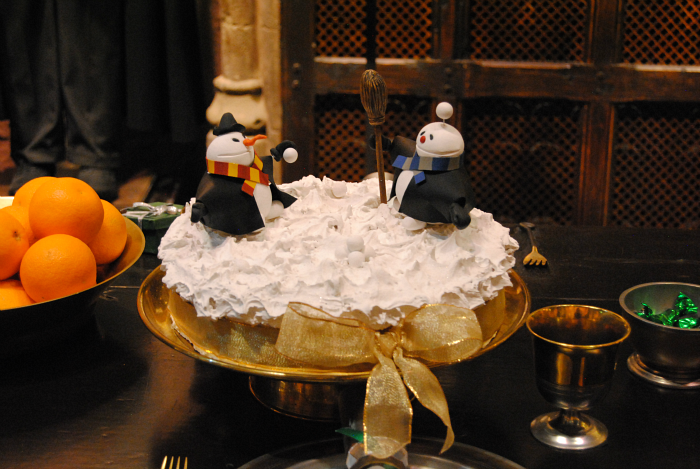 It's also a shame that other than Butterbeer there isn't any themed food - I'd have loved to try a pumpkin pasty. 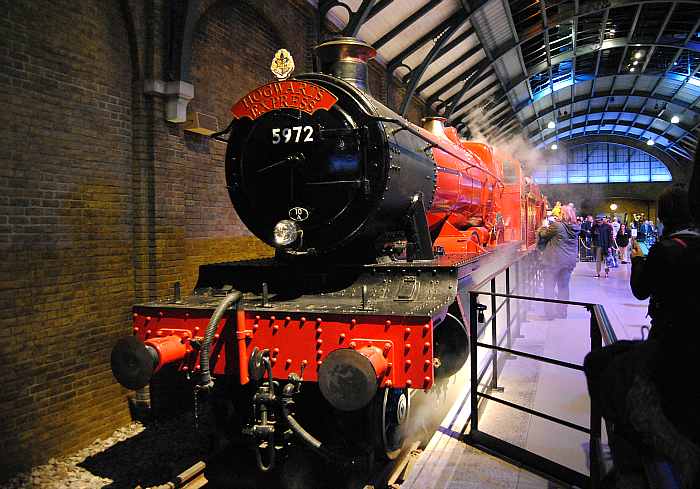 My friends and I had all visited at least once before, but we were yet to see the new exhibit, the real Hogwarts Express! Inside there are eight compartments each dressed to portray the films in chronological order. We had so much fun peeking at the spell books, cauldrons, wands (and an escaped Scabbers!) 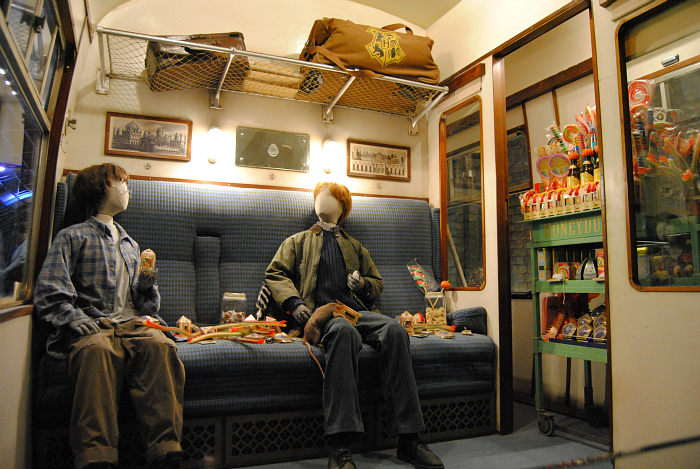 through the windows of the compartments and reminiscing about all those trips to Hogwarts like they were our own. One of my favourite parts of the tour is the model of Hogwarts at the end. It's absolutely huge and was used to film the exterior shots of the castle. And at this time of the year it's all covered in snow! Currently I'm working my way through all the Harry Potter films again whilst I wrap Christmas presents for my friends and family. It's so much fun to spot all the little props and details we got to see at the tour as well as the incredible sets. It's a fantastic day out for any Harry Potter fan and I know I'll be making another visit soon.